The Glen Avon Falls, at first glance, seems like a misnomer. I’ve got to say that at first look, this feature was lacking in charisma to me! After all, there doesn’t seem to really be any “falls”. Rather, this unique setting is more like a placid little creek … that is, until it suddenly widens into a series of cascading white water, dropping dramatically in elevation over ~100 yards, over a rock base in the water that causes numerous miniature waterfalls down the course. But by simply wandering downstream a bit, and looking back up, at the 100-yard run of cascades, my mind changed just as rapidly as the water was flowing! 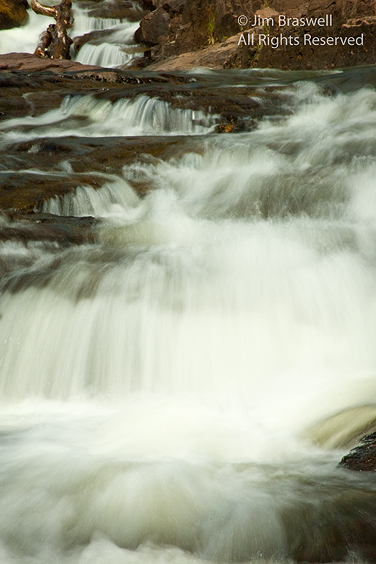 I’ve read that the Glen Avon Falls is not a well-known feature to the casual North Shore visitor. 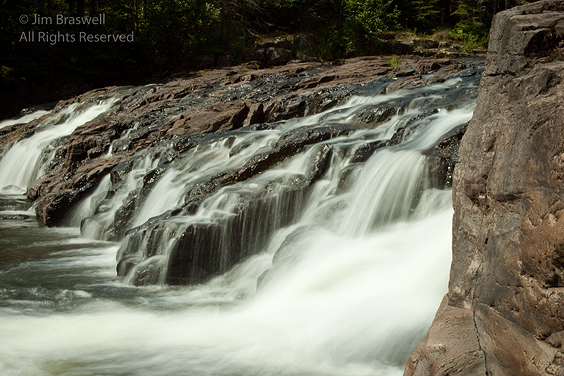 But with the help of a Minnesota Waterfalls book that my wife’s sister loaned us, we were in for quite a treat! 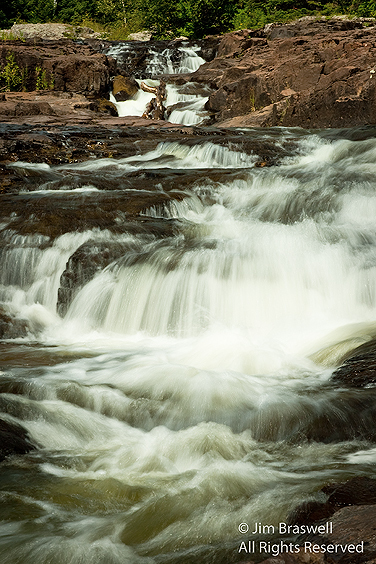 The Glen Avons Falls is located on the Beaver River and is very easy to get to … if you know it is there. We were there for about an hour and saw no one else while we roamed about, looking for that “magical position” to photograph from. I think you’ll agree that although this waterfall is not a typical waterfall, it is quite impressive when viewed from the bottom of the run, looking back toward it’s start. If you enjoyed this blog post, please feel free to send a link to your friends and other photographers that you think will enjoy it! 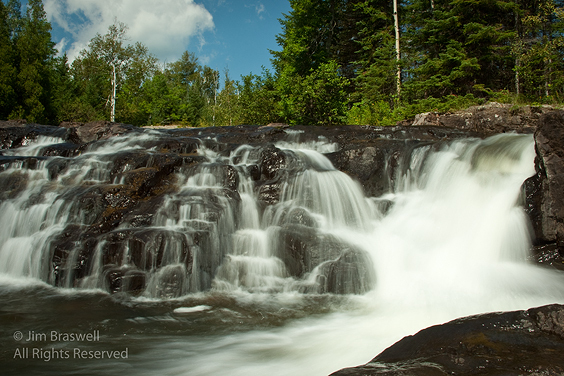 Tags: 2010, Blog, Glen Avon, landscape, Minnesota, nature, nature photography, photography, summer, travel, waterfall.